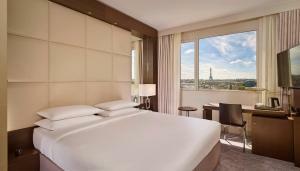 Hyatt Regency Paris Etoile, formerly the renowned Hotel Concorde La Fayette, is 1.5 km from both the Arc de Triomphe and the famous Champs Elysées. 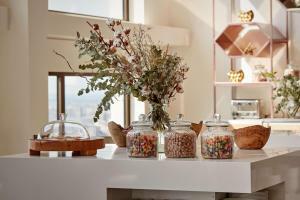 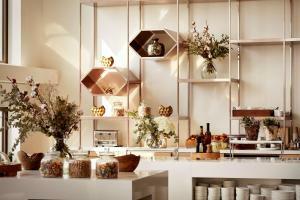 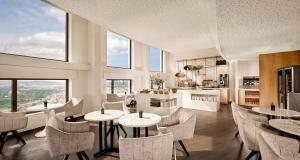 The MAYO restaurant in the lobby of the hotel welcomes guests and offers a menu of seasonal cuisine and local products. 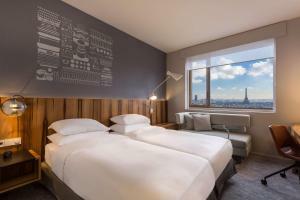 This hotel is connected to the Palais des Congrès and La Defense business district is only 5 minutes away by Metro. 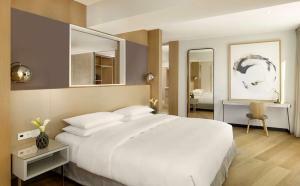 A 24-hour concierge, currency exchange and a business centre are among the additional services. 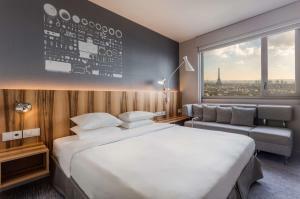 Porte Maillot Metro Station is an 8-minute walk away and the airport bus shuttles to Charles de Gaulle Airport are located right outside the hotel. 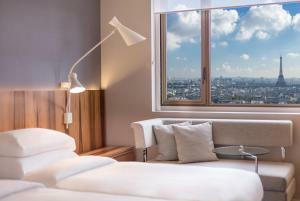 These elegant non-smoking rooms are decorated with luxurious furnishings and the large windows offer panoramic city views. 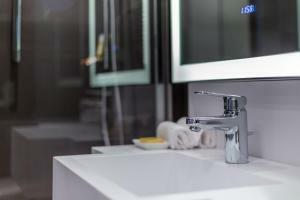 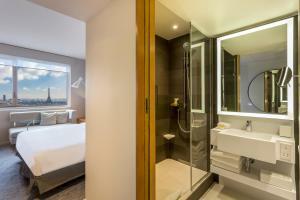 They also have a desk, cable TV and a private bathroom including deluxe bath products and hairdryer. 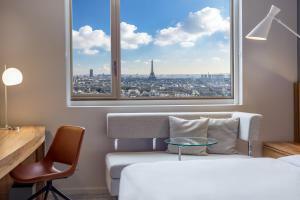 Panoramic views of the city and the Eiffel Tower are offered in this stylish non-smoking room, that includes luxury furnishings. 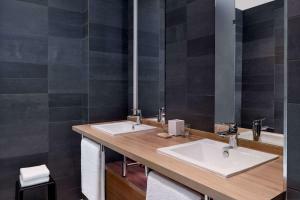 They also have a desk, cable TV and a private bathroom including deluxe bath products. 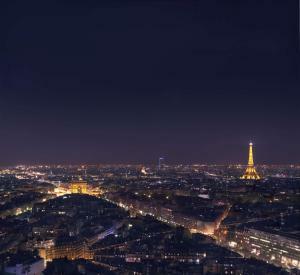 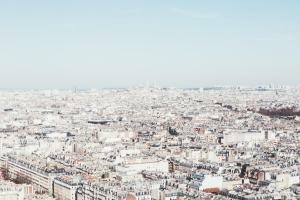 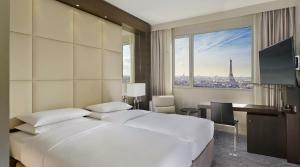 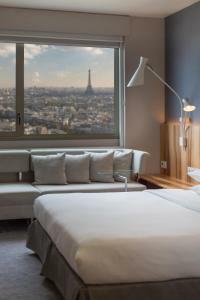 Panoramic views of the city and the Eiffel Tower are offered in this stylish room, that includes luxury furnishings. 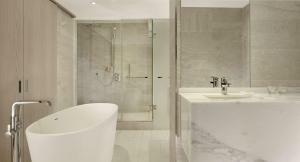 They also have a desk, cable TV and a private bathroom including deluxe bath products. 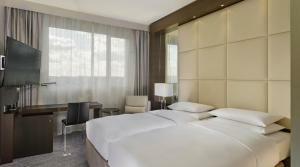 Rate: € 163.65 ... € 1245.00; select dates below to get current rates. 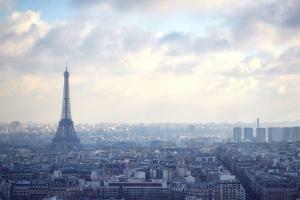 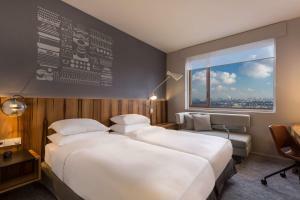 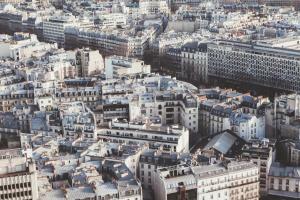 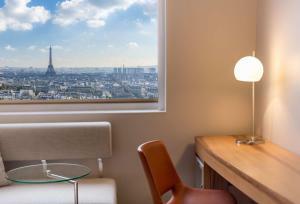 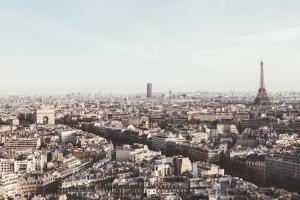 Panoramic views of the city and Eiffel Tower are offered in this stylish non-smoking room. 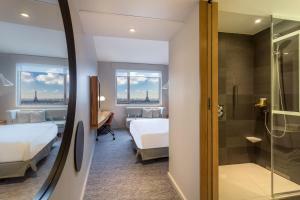 These rooms include exclusive access to a private lounge with free breakfast, afternoon tea and access to the fitness centre. 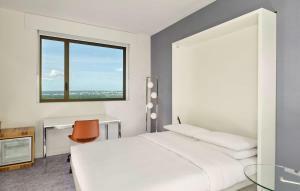 Panoramic views of the city are offered in this non-smoking stylish room, and they also have a desk, cable TV and a private bathroom including deluxe bath products. 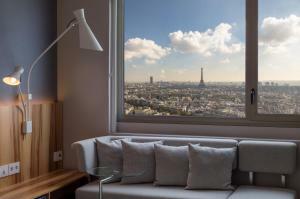 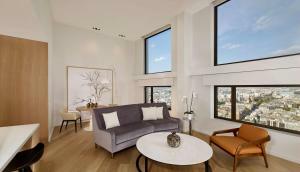 Panoramic views of the city are offered in this stylish room. 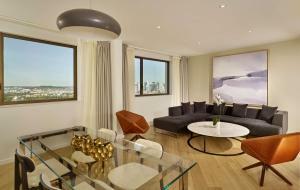 These rooms include exclusive access to a private lounge with free breakfast, afternoon tea and access to the fitness centre. 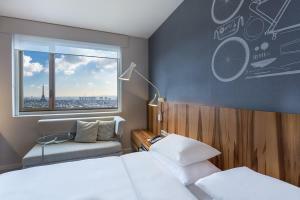 These elegant rooms are decorated with wooden furniture and the large windows offer panoramic city views. 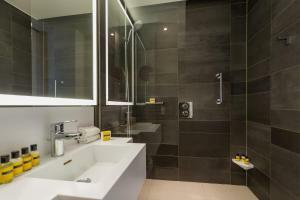 They also have a desk, cable TV and a private bathroom including deluxe bath products and hairdryer. 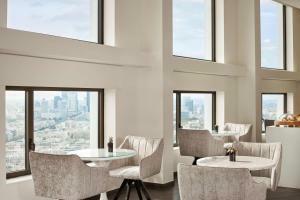 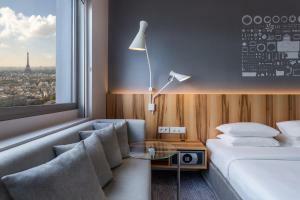 These elegant non-smoking rooms are decorated with wooden furniture and the large windows offer panoramic city views. 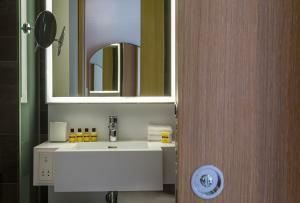 They also have a desk, cable TV and a private bathroom including deluxe bath products and hairdryer. 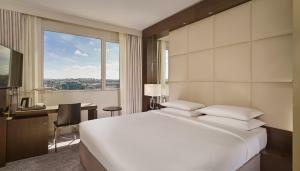 Rate: € 140.00 ... € 1225.00; select dates below to get current rates. 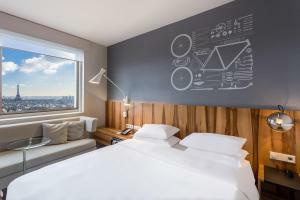 This twin room has a desk, air conditioning and cable TV. 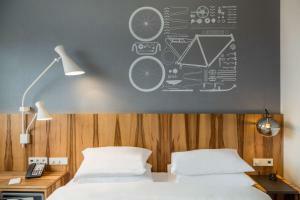 This non-smoking double room has a satellite TV, air conditioning and soundproofing. 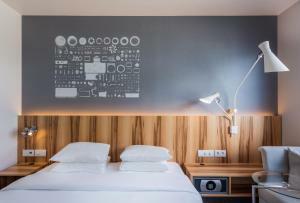 Rate: € 158.65 ... € 1265.00; select dates below to get current rates. 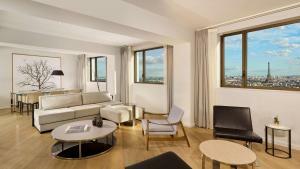 This suite has a sofa, seating area and electric kettle. 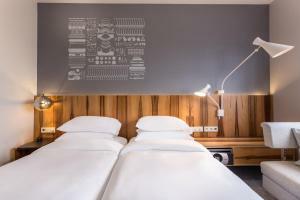 This non-smoking double room has a soundproofing, air conditioning and a desk. 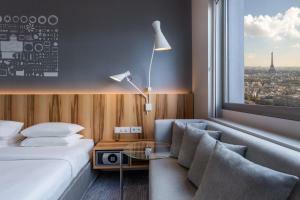 This non-smoking suite has a desk, soundproofing and air conditioning. 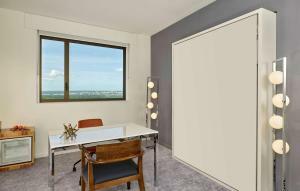 This suite features a soundproofing, air conditioning and a desk. 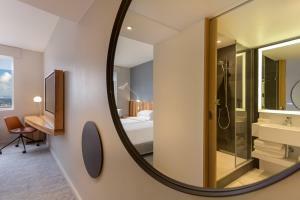 This suite has a bathrobe, air conditioning and soundproofing. 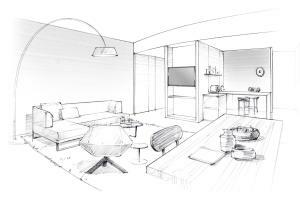 This suite features a seating area, electric kettle and soundproofing.